What Are Heritage Plants and Animals? We’ve dedicated our farm to heritage (or heirloom) plants and animals: these are older breeds and varieties, esteemed for their history and hardiness. Many are endangered because, in the mid-twentieth century, corporate farming narrowed consumer’s choices as it selected plants and animals that were easy to raise in great numbers. At the same time, families stopped growing their own food as they moved to cities and suburbs. There was a time when nearly every American had a back yard garden and a few chickens–even in cities. 1. The Dominque chicken has been around for centuries and was poplar among American colonists. Dominique hens are known as attentive mothers. In general, the chicken is good for both meat and eggs. 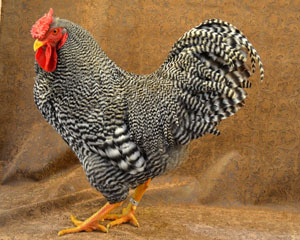 But, as with so many heritage breeds, its popularity waned as corporate farming favored chickens that grew faster and fatter (and offered bigger eggs). The Dominique is now endangered. 2. 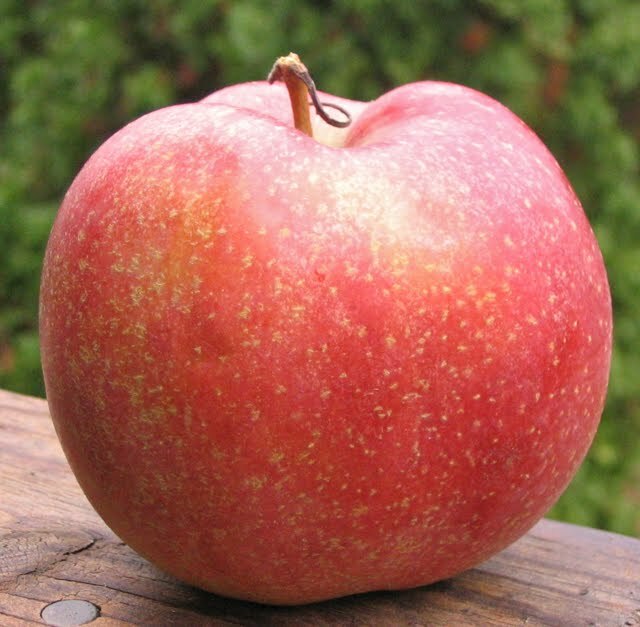 The Spitzenberg apple was discovered by Europeans in the late 1700s in upstate New York. This was reputedly Thomas Jefferson’s favorite apple. It’s a spicy, firm fruit that stores well. Although there are 2,500 varieties of apples grown in the U.S., we get only a handful of varieties–usually no more than 6 of 7–in our supermarkets. Why? It’s easier to grow fewer varieties in large quantities, obviously. Also transportation is key, growing an apple that can withstand the rigors of long-distance trucking. 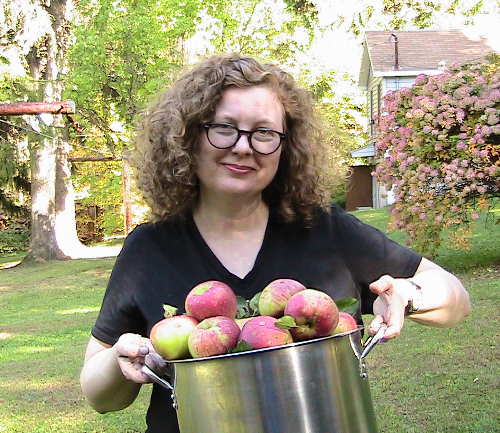 And there is the issue of marketing: it’s hard to widely market more than a handful of apples. 3. 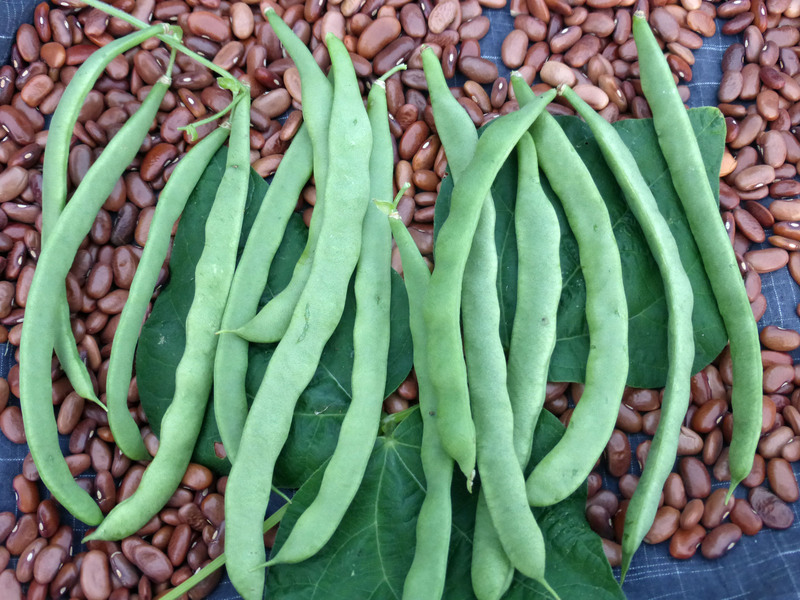 Kentucky Wonder pole bean: cultivated in Kentucky in the mid-1800s, this bean is prized for its nutty flavor and meaty, stringless pods. It’s been known by a number of other names: American Sickle Pole, Eastern Wonder, Egg Harbor, Georgia Monstrous Pole, Improved Southern Prolific, Missouri Prolific, Old Homestead Pole and Texas Pole. Easy to grow and versatile, it’s a mainstay of many backyard American gardens. Here’s more info. 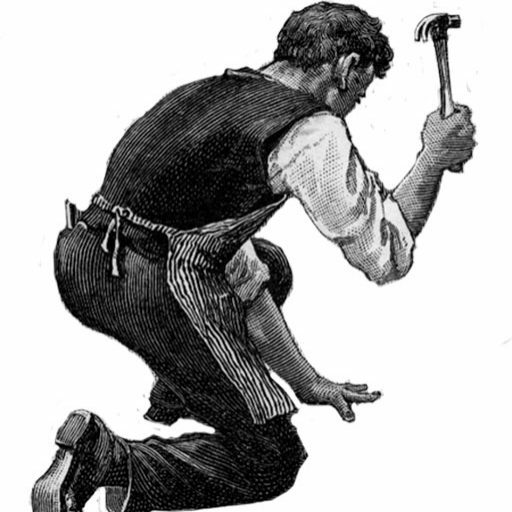 on heirloom agriculture from the USDA.